Once in a while I like to throw a non cooking post out there for you! 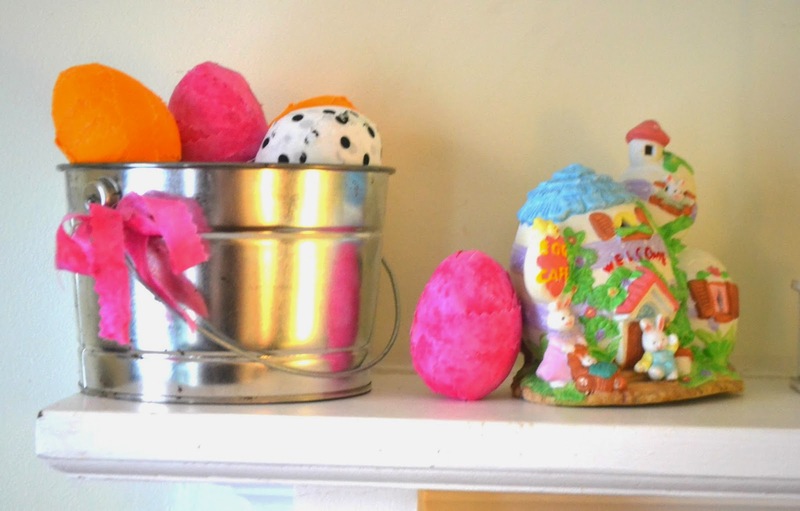 Grab some cheap plastic eggs and some sraps of fabric and have a bunch of cute eggs made up in no time! 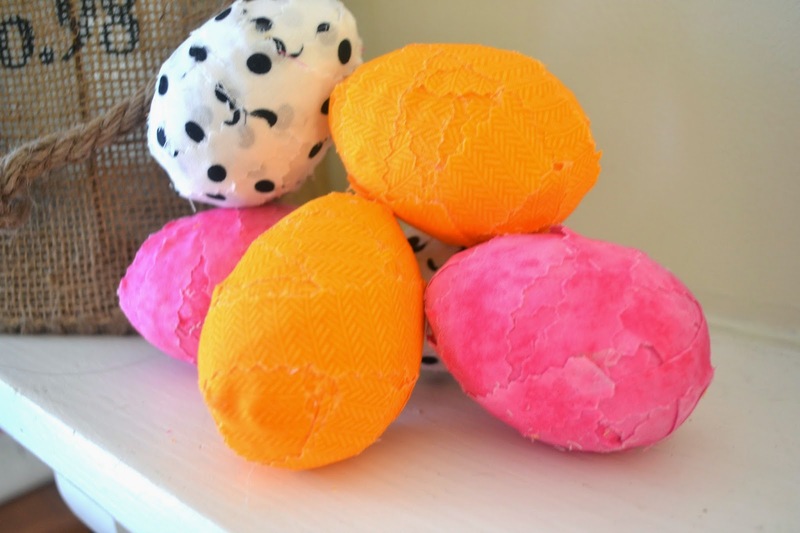 Making cute yet simple Easter eggs from plastic eggs and scraps of fabric is not only thrifty, but a craft you can start and finish within minutes! You can use any scraps of fabric you have. Today I am using scraps from some of those cheap "fat quarters" of fabric you can get at any fabric store or even the fabric section of Walmart for less than a dollar. 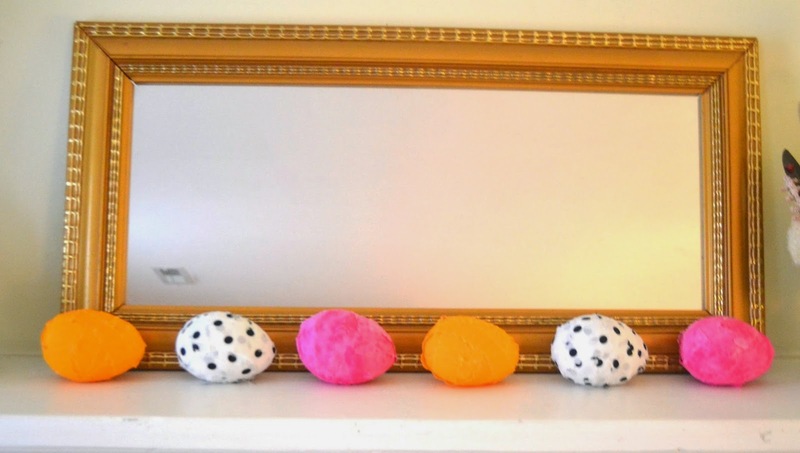 I am using a hot glue gun and the extra jumbo sized plastic eggs, but you can also use Styrofoam eggs and straight pins as well. (This option may be more expensive, but is a more child friendly option if you want to do this with your kiddos). Using pinking shears or tear 1/2" wide strips of fabric about 24 inches long. I prefer to dab a bit of hot glue on the top (Pointy end) of the egg and secure the end of one strip of fabric to it. wrap the fabric the long way over the bottom of the egg and back up toward the top. remember your goal is to cover as much of the plastic /Styrofoam as possible, so you'll want to overlap and criss cross, as you go. Dab a spot of hot glue to secure the end of the first piece to the egg (where ever it ends on the egg is fine). Start a new strip, by gluing down one end to the middle of the egg (along the seam)and wrapping around the middle. Again trying to cover as much of the egg as possible. Secure the end of the strip with hot glue. Start your third strip slightly off center (so it's going to wrap at an angle ) from the top or bottom. This will help cover those hard to cover spots on either side of center on the top and bottom of the egg. 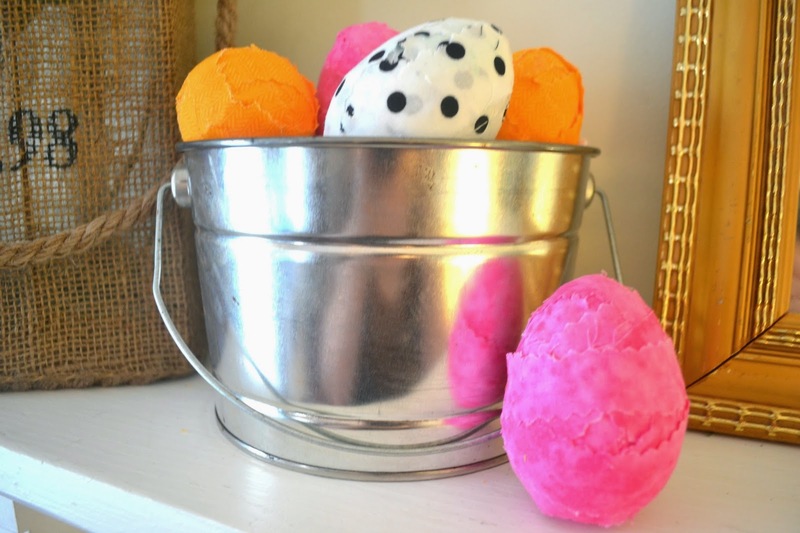 Make sure to create a criss cross pattern as this layer will be one that shows on the finished egg. Continue wrapping strips and securing down as needed to cover the whole egg and give a raggedy, criss cross patterned look. I think I used about 5 or 6 strips per egg total (it would take less for the traditional sized plastic eggs).